The highest standard of vendors from across Ontario will be buying, selling, and trading the best selection of sports cards in the province. 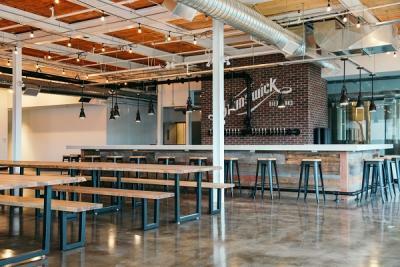 A New & Exciting Venue (while Amsterdam Brewery is planning renos), the show will be held in the beautiful tap room and event space at Brunswick Bierworks, very close to Amsterdam Brewery, where you can enjoy 20 craft beer on tap and chef prepared BBQ. Free Admission. Includes ticket to WIN Auston Matthews Young Guns RC. 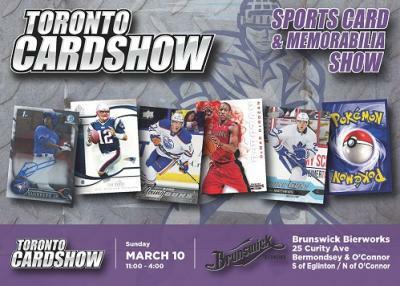 Visit www.TorontoCardShow.com for all the info.